Fueled by steadily increasing production of first-class Rieslings and Chardonnays, Oregon’s wineries are proving that they can do much more than just make great Pinot Noir. Pinot Noir’s primacy as Oregon’s dominant variety is in no danger of being challenged any time soon. With more than 20,000 planted acres, Pinot Noir constitutes a whopping 64% of the state’s vines, and almost 80% of that total is in the Willamette Valley. So, barring some crazy climate or disease event, Pinot Noir isn’t going to be taking a back seat to any other variety in the foreseeable future. However, a steadily growing number of serious white wines and a handful of non-Pinot Noir reds have begun making the case that there’s much more to Oregon wine than its most famous and ubiquitous variety. Riesling and Chardonnay in particular appear to have the greatest potential to grab the wine-buying public’s attention, especially that of consumers looking for white wines that privilege finesse and tension over weight and power. It wasn’t long ago that too many examples of those varieties were either treacly (Riesling and Chardonnay) or overoaked (Chardonnay), with little to offer, frankly, except for the fact that they were “different.” That’s no longer the case, as was made clear to me, again, this year by the largest number of graceful, delineated, well-balanced examples of those varieties that I’ve ever experienced from Oregon. That performance was especially impressive given that 2016, 2015 and, especially, 2014 are among the warmest vintages since the Oregon wine industry was founded in the mid-1960s. Chardonnays from experienced producers of this variety such as Domaine Drouhin Oregon, Roco, Stoller, Walter Scott, Antica Terra, Arterberry Maresh, Brick House and Bergström, showed extremely well this year. So did those from relative newcomers to the high-end Chardonnay game, such as Lavinea, Big Table Farm, Haden Fig, Lingua Franca and Elton. What’s exciting about the best Oregon Chardonnays is their ability to marry fruity exuberance with energy and precision in the manner of textbook white Burgundies. The use of new oak is more conservative than ever before here, while fewer and fewer producers are beating the wines up in barrel through excessive lees-stirring than in the past. As a poignant aside and a statement of what’s happening in Oregon, I poured the 2016 Bergström Sigrid and the 2016 Lavinea Lazy River Vineyard Chardonnays, blind, alongside 15 big-name, high-quality wines from Burgundy, Australia and California (from the likes of François Carillon, Pierre-Yves Colin, Peay, Talley, Giaconda, Bindi and Vasse Felix) to a group of seasoned wine writers and winemakers in Melbourne, Australia in November. The overwhelming majority of attendees guessed that the two Oregon Chardonnays were from Burgundy, such was the poise, detail and energy of those wines. The fact is that consumers are now spoiled for choice when it comes to high-quality Oregon Chardonnay, even if the wines are usually made in small quantities and require diligent searching. Most important is the fact that wineries are quickly learning that if they don’t get serious about the variety soon, their lesser examples are going to start standing out – and not in a good way. According to the producers with whom I spoke, the range of choices for top-drawer Oregon Riesling, especially dry versions, is also expanding, albeit slowly, with important inroads being made mostly at high-end, wine-centric restaurants across the United States. Harry Peterson-Nedry of Chehalem has been one of Oregon’s strongest evangelists for Riesling’s potential in the Willamette Valley and his recent releases are well up to his winery’s long-held reputation. Incidentally, Peterson-Nedry literally just sold his share of Chehalem to original investor and partner Bill Stoller (Stoller Family Estate), whose own standards are extremely high, so I have no reason to doubt that the quality of these wines will be maintained. Relative newcomers Alexana and Love & Squalor are doing impressive work with Riesling as well. Their wines are worth a search, as are those from Teutonic. That said, it’s the dry Rieslings from Brooks and Trisaetum that really turned my head this year. The wines from these two Riesling specialists were some of the best examples of the variety that I have ever had, period, from outside the grape’s motherland. I would love to see them alongside the best examples that Australia’s vaunted Clare Valley is producing, and I wouldn’t hesitate to pour them alongside most of the best dry bottlings that Germany, Austria and Alsace offer. Best of all, most of the wines are quite inexpensive. Way too much Oregon Pinot Gris is anonymous and even innocuous, resembling nothing so much as industrially produced Pinot Grigio from wherever. More than a few producers that I regularly visit half-jokingly refer to Pinot Gris as an unwanted weed that is about the only excuse for ever using the herbicide Roundup. Certainly the sheer number of boring Pinot Gris bottlings doesn’t make a strong case for the variety, especially when there are so many other terrific white wines being made in Oregon today. There are just over 3,800 acres of Pinot Gris vines in the state, making it the second most widely planted variety after Pinot Noir. The best example of Pinot Gris, in my opinion, comes from Eyrie, which has for decades been Oregon’s pace-setter. Interestingly, Eyrie’s oldest Pinot Gris vines, planted by David Lett in 1965, are the oldest vines of any variety in the Willamette Valley. 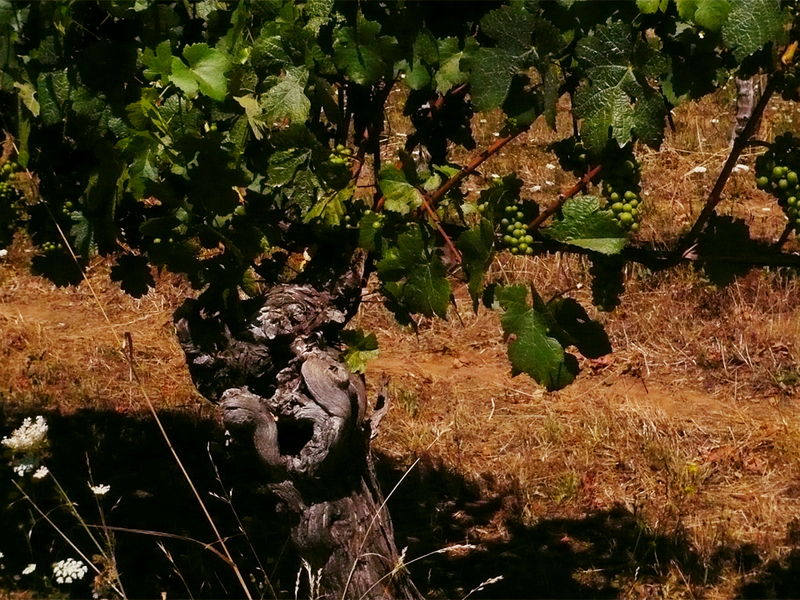 The small amount of wine these vines produce is consistently superb. 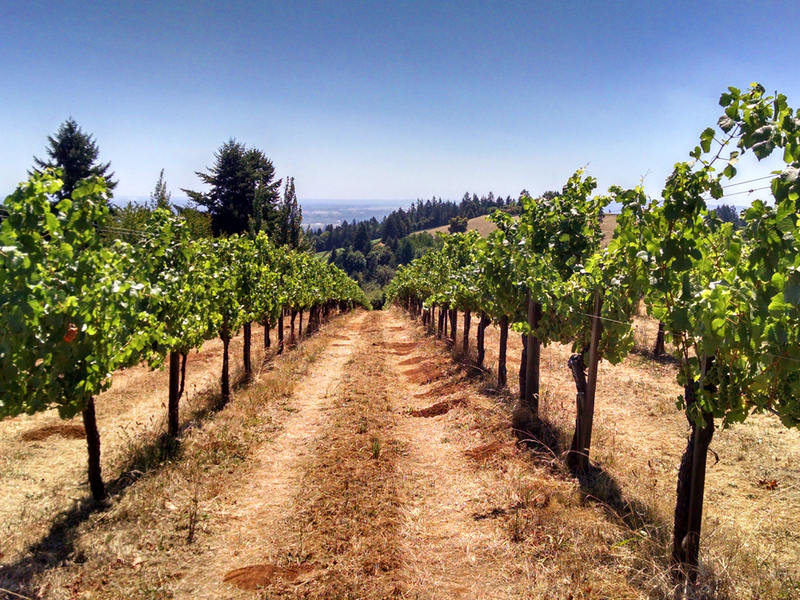 But while it is clearly possible for outstanding Pinot Gris to be made in Oregon, precious few producers seem willing to take the grape seriously. Pinot Blanc, on the other hand, usually provides more depth and character than most Pinot Gris bottlings that one might run across in a wine shop or on a restaurant list, but only 247 acres are planted in the state. 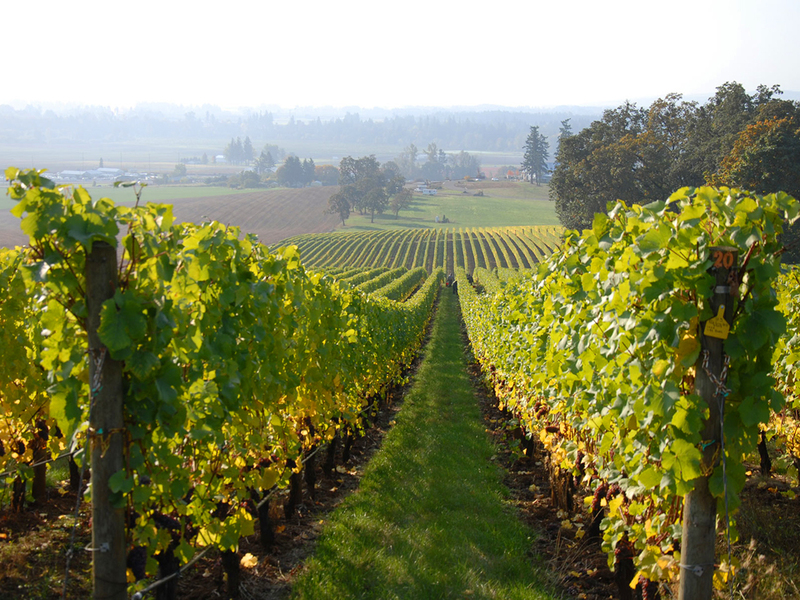 Oregon Pinot Blanc tends to be slightly heftier and rounder than Pinot Gris, with greater density than most thin, even watery, Pinot Gris examples. In Oregon, Pinot Blanc is rarely as weighty as it is in Alsace, but, then again, then these wines are in reality more often than not dominated by Auxerrois, a member of the Pinot family that originated in Burgundy. Out of the small number of examples I ran across, I had especially good luck with Pinot Blancs from Winter’s Hill Estate, Ponzi and the tiny Burner Wines. It takes some effort to find a bottle of Oregon Sauvignon Blanc, but the good news is that virtually every example I tasted this year was praiseworthy. Andrew Rich, Patricia Green Cellars and J. Christopher all take the variety seriously, and their 2016 bottlings are all excellent by any measure. Sauvignon Blanc has co-existed alongside Pinot Noir very happily and productively in the Loire valley for ages, especially in Sancerre. I hope that at least a few more Oregon producers try their hand with it in the future. The few examples that I get to try each year suggest that the variety offers excellent potential in Oregon. While Syrah is still an outlier in the Oregon wine scene, with only 611 acres planted as of the 2016 vintage, the general quality of the wines is solid and improving. The style of most Oregon Syrahs leans strongly to France’s northern Rhône valley, with an emphasis on savory elements like olive, peppery spices, herbs, pungent flowers and, occasionally, even cured or smoked meat. The wines also tend to be lowish in alcohol and in many instances show an almost Pinot Noir-like weight and texture that I find highly appealing, not to mention food-friendly. Cowhorn, the pioneering Rhône-inspired organic winery in the southern Rogue Valley, continues to excel with the grape (as well as with Viognier and Marsanne) and to my mind is the quality leader for the category in the state. Amalie Robert, whose vineyard is in the western part of the Willamette Valley, makes a very strong case for Syrah, but production of their two graceful wines is painfully small, as in just a few barrels of wine per vintage. Josh Bergstrom’s new Gargantua project has taken off quickly. The two 2015s I tasted this year (one of them made from grapes grown in California’s Bien Nacido vineyard, admittedly) can stand toe-to-toe with pretty much any New World example of the variety that I know and plenty from the northern Rhône as well. Yes, they’re that good. Gamay has been a small part of the Willamette Valley’s vinous tapestry since 1987, when Myron Redford of Amity Vineyards grafted two acres of Gewürztraminer vines in the Seven Springs vineyard over to the variety. Since then the total plantings of Gamay in Oregon have grown to a whopping 30 acres, give or take, which doesn’t even qualify it for inclusion on the state’s annual Vineyard and Winery Census reports, where it’s lumped into the “All Others” category. By way of comparison, Beaujolais encompasses almost 45,000 acres of the variety, while the Willamette Valley has roughly 30,000 acres of vines, total. All that said, the general standard of Willamette Valley Gamay is quite high. Recent warm vintages predictably produced weightier wines than normal, especially compared to Beaujolais, with dark berry and pungent floral qualities marking most of the bottlings that I tasted. One stumbling point is that the wines are often priced higher than most Beaujolais. That makes them a somewhat difficult sell, as plenty of top-notch Beaujolais bottlings can easily be had for less than $20 a bottle. Still, curious wine lovers should give the best Oregon Gamays a try, especially those made by Brick House, Grochau, Martin Woods, Chehalem, Bow & Arrow and Ayres, all of whom produced outstanding renditions of the variety in 2016 and 2015. While I’ve run across the occasional outstanding Oregon bubbly over the last couple of decades (almost all of them sporting an Argyle or Soter Vineyards label), today a growing number of wineries are making the effort to produce serious sparkling wines, including extended lees-contact versions, often with impressive results. Soter continues to be at the top of the Oregon bubbly game and Roco, the family winery of sparkling wine pioneer Rollin Soles (former winemaker at the aforementioned Argyle), is doing outstanding work. Jim Prosser is also turning out excellent sparkling wines at J.K. Carriere. This year I was able to taste the two very impressive inaugural bottlings from Pashey, a small side project of the Frey family, whose outstanding Trisaetum wines should be well-known to all Oregon wine aficionados. A number of additional producers have new bottlings aging in their wineries right now, so the next few years will see the further emergence of what should be another interesting category of Beaver State wines. I tasted many of the wines in this article during my trip to Oregon last August and the rest of them back home in New York during late fall and early winter.